This is a perfect cake for those who are in last minute preparation; a perfect alternative for traditional fruit cake / plum cake. 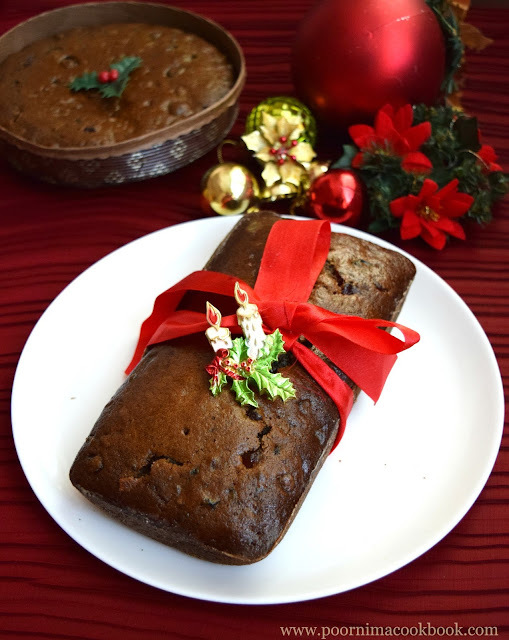 Though this cake doesn't require prior soaking of dry fruits in alcohol, it tastes delicious! An easy to prepare cake, even for beginners! 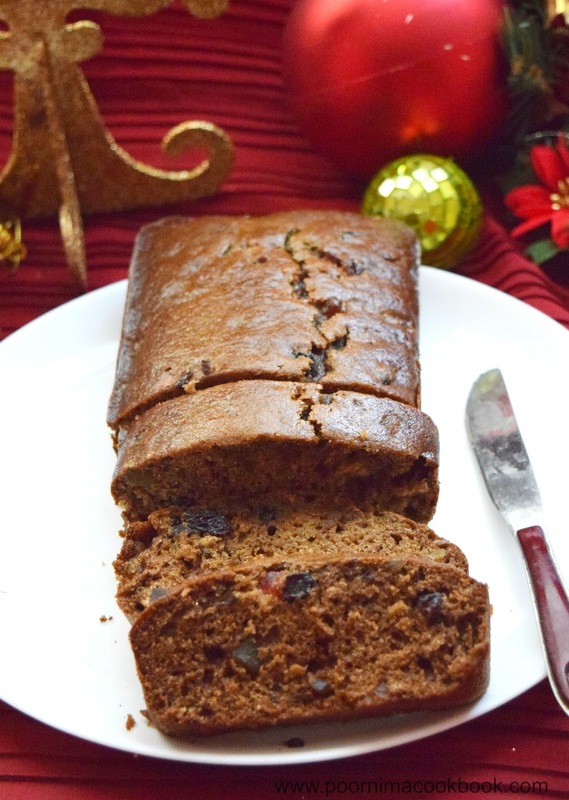 This fruit cake is not only for this season, but makes a best tea time snack. Try out this quick and easy to prepare cake that is suitable for all special occasions! Take a bowl add water, butter, spices and raisins. Allow to boil for just five minutes; not more than that. Remove from the flame and allow to cool till it is lukewarm. Meanwhile, preheat the oven to 180 deg C; also prepare your 8" loaf tin (grease with butter / oil and dust it with all purpose flour) and keep aside. Then add in beaten eggs, orange juice, orange zest and vanilla essence; mix well. Next add all purpose flour, baking soda, salt and tuitti frutti. Stir well. Pour the batter into the greased loaf tin and bake on preheated oven at 180 deg C for 15 to 20 minutes, until a toothpick inserted into center of a cake comes out clean. 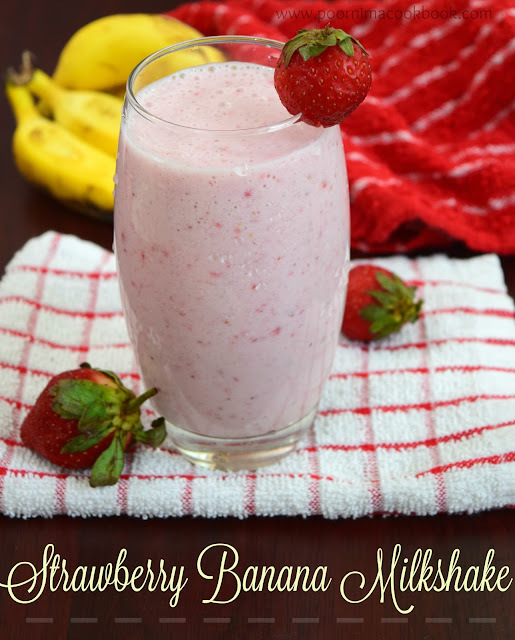 You can also add chopped nuts along with tuitty fruitti. You can also add dates; in that case reduce the raisin or tuitti frutti quantity to half. 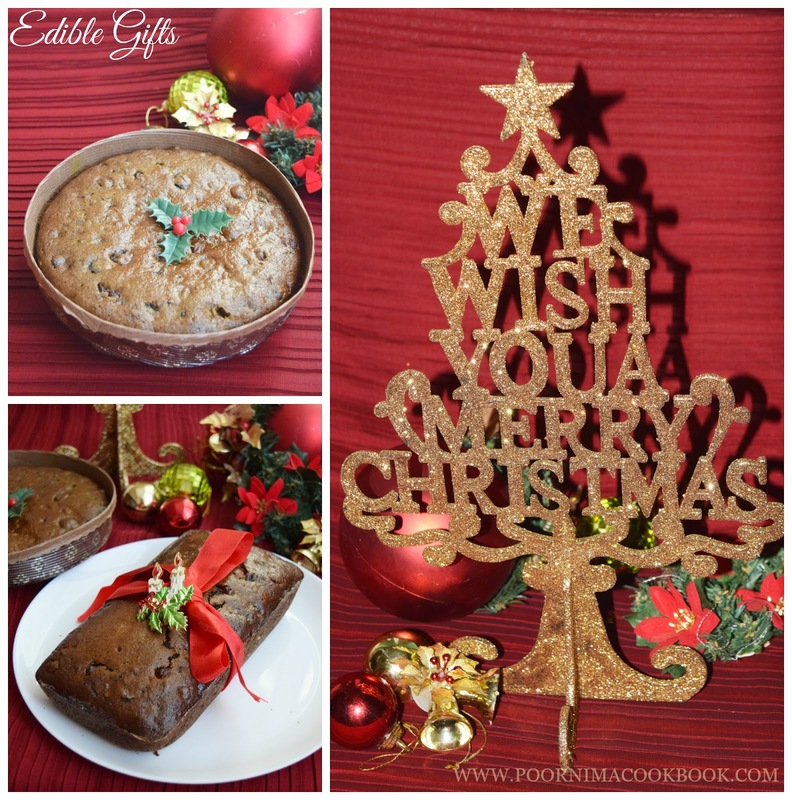 I baked in disposable paper pan, to give it as edible Christmas gift to my friend; try it out. Honestly, I've never baked fruit cake. So, thanks for the recipe. Hopefully should get my hands on next week. 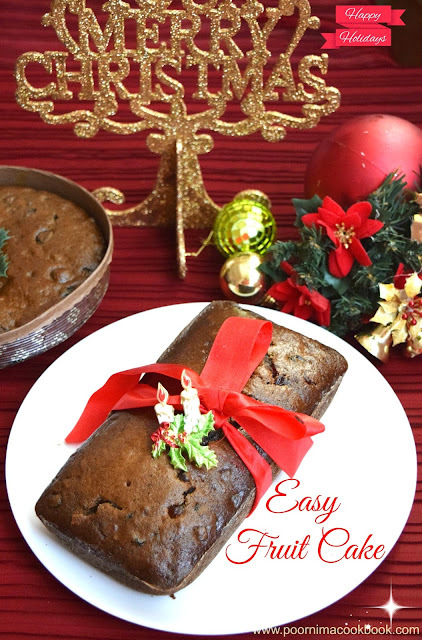 I like your simple and easy to make fruit cake. Lovely.